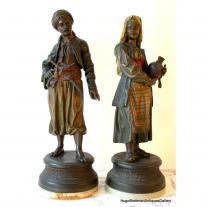 An Art Deco Paul Kiss bronze figure of a woman holding an alabaster bowl. France, Circa 1925 . 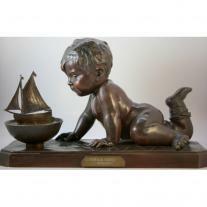 Juan Clara Bronze "Devant Le Guignol"
E. VILLANIS SCULPTURE "ENFANT A LA BARQUE"